The CRA My Account is the online service available via the Canada Revenue Agency’s website where you can access your personal or business income tax information securely. 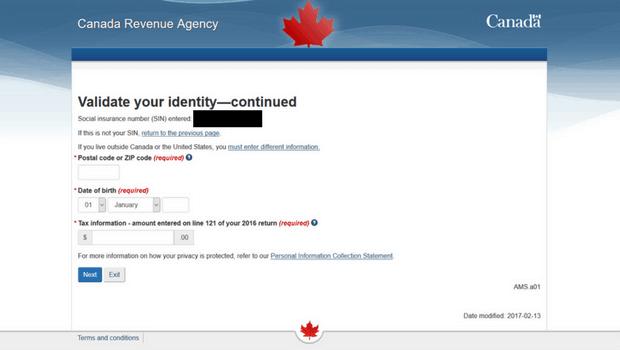 Creating a Canada Revenue Agency (CRA) My Account and getting your CRA security code is easy. Want to make your life easier with hassle-free access to your tax and benefits information? Consider registering for a CRA My Account today! Except for when the website is undergoing daily maintenance, the online My Account service is pretty much always available and can be accessed 21 hours a day, 7 days a week. This is a much easier way to obtain your information than having to call CRA and waiting to speak (sometimes for very long) to a representative. The information and benefits you can access directly via your account will vary depending on the type of account. Authorize a representative, and much more! If you have a business, the account can allow you to access lots of information relating to your business including tax returns for GST/HST, payroll deductions, corporate income tax, excise duty, excise tax, information returns, and lots more. Your last two tax returns i.e. for the current year and previous one. You will be required to enter an amount you have entered in one of these returns. When you have gathered the information above, proceed to the CRA My Account web page here. ⇒ Enter your social insurance number, and click on Next. ⇒ Validate your identity by completing all the required fields and then click Next. After creating an acceptable user ID and password (may require a few tries! ), you will be required to create security questions and answers on the next screen. For full and uninhibited access to your account, CRA will mail you via Canada Post a security code which you will need to enter online when prompted after log-in. 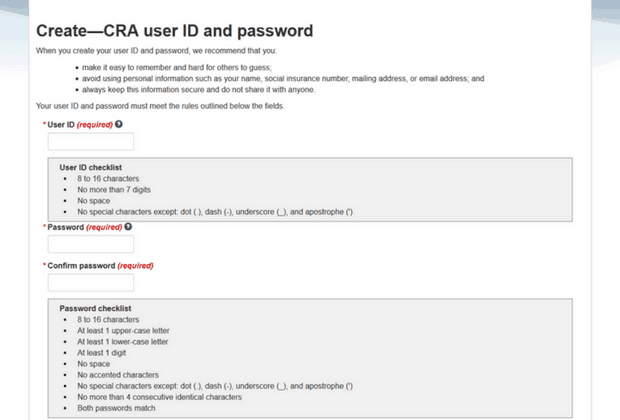 Afterward, you will only need your CRA user ID and password to access your account. 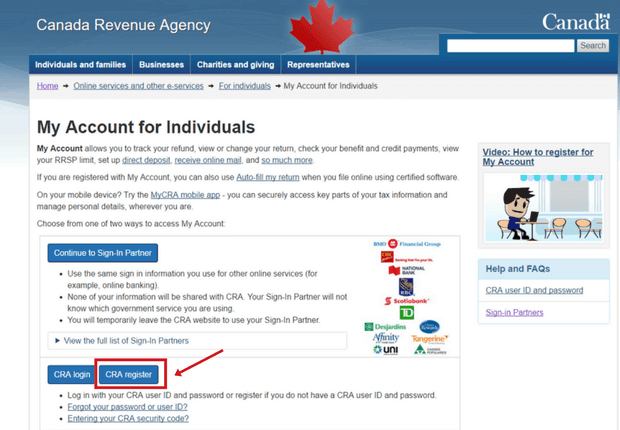 A second option for accessing CRA My Account is to use a Sign-in Partner. For this option, you need to log-in via one of the listed financial institutions using your normal log-in details. As I mentioned for Option 1, you will also be required to have your social insurance number, date of birth, postal code and last two tax returns readily available. A CRA security code will be mailed to you as well to enable full access to My Account. Upon receipt of the security code, log-in as usual through the Sign-in Partner and enter the security code when prompted. You should now have full access. For a Business CRA My Account, you need to follow similar steps, except that you will also be required to enter your business number. So there you have it! 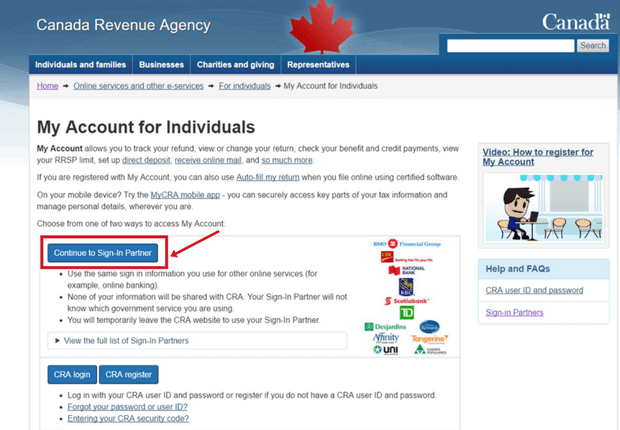 You can now go ahead and create your CRA My Account, and start enjoying the many benefits! Are you planning to file your tax return electronically this tax season? 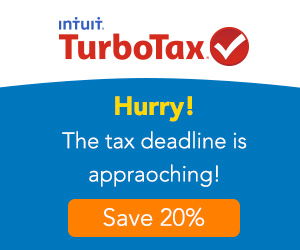 Try TurboTax (20% discount link). If you want to have articles like this delivered to your inbox once a week, subscribe to my newsletter using the opt-in form below or on the sidebar.